Graduated in Geological Sciences, 36 years of experience mainly in the ICT sector. 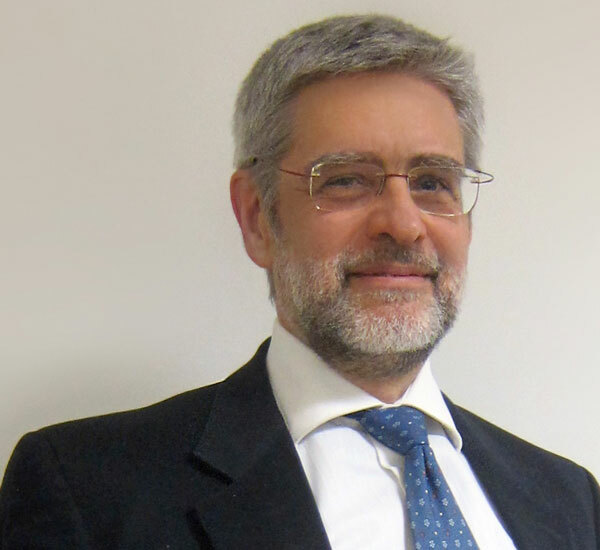 After 8 years of consulting activity in the development of computer systems, he joined Telecom Italia. In the companies of the Telecom Italia Group (Italcable, Telecom Italia, Seat Pagine Gialle, Telecom Italia Media, Tin.it, Matrix), within the space of 24, he was Head of Infocenter and Office Automation in the IT division; technical audits in Internal Auditing, Project Management, technical processes and IT Security, management control in Internet management; of Special Projects in the Finance Department. He then participated in the review of the technological and security processes in Telecom Italia; the definition of the control function of projects and investments, and the definition of security processes in Tin.it. He has a consolidated experience in the governance of managerial and business processes. In the 2013 he was, together with Luca Bernacchia, co-founder of Sinergetica Consulting, a company that has worked in the ICT market for management consulting, Governance (KPI), Security by Design and CyberSecurity, IT Operation and Customer Care. During these years he obtained the following certifications: CISA - Certified Information System Auditor - ISACA (Reg. CISA 9616787); Cobit 5 Foundation ISACA (Reg. 03129550-01-V4K2 by APMG International); Data Protection Officer (KHC 1912 DPO Reg. ); Privacy Consultant - Professional qualification (KHC DPO183 Reg. ); M_o_R® (2010) Foundation (Reg. 04048000-01-VEKI of 04048000-01-VEKI); Lead Privacy Implementer (ISO 29100 - 27001) - Professional qualification (of PECB).